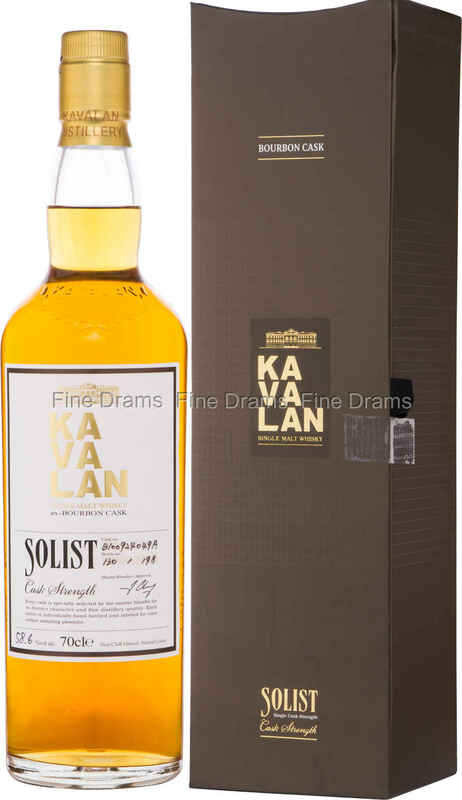 Another in Kavalan’s excellent line of single cask “Solist” malt whiskies. These whiskies allow the drinker a unique insight into the flavours of Kavalan’s spirit, never to be repeated (without buying several bottles that is!). The “Solist” range has also given the distillery a lot of room to experiment with cask types, with plenty of sherry varieties and port casks being bottled. This whisky, however, is drawn from a former Bourbon American oak barrel, rich in vanilla and caramel flavours, that are imparted into the whisky to give it a deliciously robust sweetness. The heat of Taiwan means that whisky matures quite a bit faster there, giving this dram tremendous complexity. This whisky is bottled at a hefty 58.6% ABV, and without chillfiltration or colouration, allowing its natural flavours to shine through. Only 198 bottles of this single cask dram are available, so do not delay in purchasing, as once it is gone, it’s gone for good!